We are delighted to offer you the chance to win a 30″ by 20″ or 30″ by 22″ canvas, with one of your very own pictures featured, how cool is that? MyCarHeaven are delighted to be working with CanvasDesign.co.uk to bring you this competition. We have recently taken receipt of two fantastic canvas’, both Jaguar E-Type’s and we have to say that they look wonderful, and they were packaged superbly (which is very important). We were very impressed. So how do you enter?  Well, either highlight the car and the link to the picture in the comments below, send it to us by email, or drop it onto Facebook or Twitter and let us know why you love the picture so much. If you’re struggling for pictures feel free to visit our Facebook photo album and choose one. We will choose a winner at the end of April. 2 comments on "Competition time: Win a superb large canvas"
I came across this picture and I thought it is amazing, love the lines, pure art. I’d love to have this up on my wall. Has to be the McLaren F1, what a stunning car, has to be right up there as one of the best cars ever made.